Skibbereen Tool Hire has expanded into the fitness area. Steve Redmond who just completed the swim from Scotland to Ireland (known as the North Channel), is now hiring out the amazing Power Vibration Plate. Steve, who swam 17 hours non stop, now spends 10 minutes on the exercise plate which is the equivalent to a 1 hour workout in the gym. Steve believes the new machine is now essential for keeping his muscles in shape. 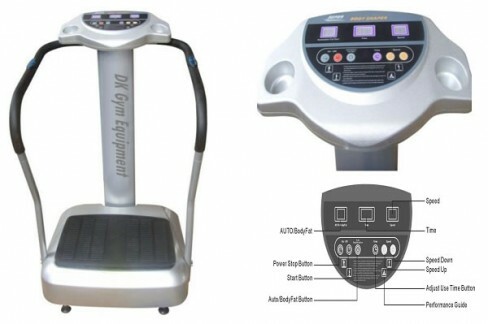 You stand on the exercise plate and it vibrates at various speeds. This will have different benefits for everyone. It could be a whole body workout or the toning of certain muscles, especially if injured or improving movement. At a low speed it massages the body. At a faster speed it can be used for weight loss, improved blood flow or feeling good. It has a gradual effect, getting faster as you build up speed and get familiar with the machine. The advantage of dealing with STH is that after a few weeks if it has done its job or you have lost interest they will take it back. It does not become clutter. Getting the body you want has never been easier or more affordable with the new Power Vibration Plate available to hire from Skibbereen Tool Hire. This innovative exercise system is fast taking the world by storm and is endorsed by a host of celebrities and professional sports personalities alike. With endless exercise options, advanced design and technological features, it is a must-have purchase for anyone who wants to look good and feel great. One 12 minute workout burns more fat and creates more muscle than 1.5 hours conventional training. Exercise on the Power Vibration Plate offers a host of benefits, and you’ll notice a difference in the way you look and feel in as little as three short sessions per week. Regular training can help improve muscle strength and tone, flexibility and circulation as well as enhancing metabolism to help reduce body fat, aid weight loss and combat cellulite. The Power Vibration Plate is simple and easy to use and provides an effective workout from the comfort of your own home, delivering many health, fitness and beauty benefits.